How to Grow Beard Faster and Thicker Naturally? How to Grow Beard Faster Naturally? How to Grow a Mustache at Teenage? How to Stop Beard from Itching? How to Grow a Thick Beard Fast Naturally? There is a myth that Women like men with a clean shave, but in reality, that is not the case. A lot of surveys have found that women actually like men with facial hair (aka beard in typical English). I know what you’re thinking now! Are you getting ready to sport a beard? then wait! It is not that easy to grow a beard and it takes a lot of patience and struggle. Since, growing a beard takes time, not many people could wait that long and drop in the middle. However, if you’re in a rush to grow your facial hair, then you can try the below techniques. How to Grow a Beard Faster & Thicker Naturally? The first thing you’ll need to do is to change your unhealthy diet routine. Immediately switch to a diet which involves useful hair growth vitamins and minerals. If it is difficult for you to switch your diet, simply use a supplement every day. 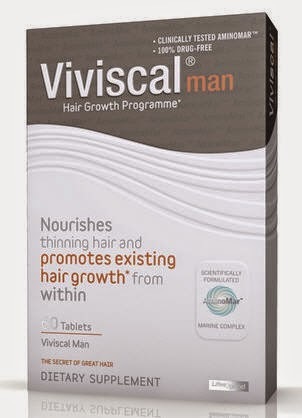 Viviscal Man is one of the most popular hair growth supplements for men. It contains all the required ingredients to grow your beard (also hair). The vitamins that are responsible for hair growth are Vit A, Vit B, Vit C and Vit E. If you’re good with the calculations, you can eat a healthy diet that contains all these vitamins. Else, go to your nearest medical store and get a vitamin supplement. You can choose the one out of the two methods, that works best for you. The facial hair roots are to be concentrated more if you wanted to grow a beard faster. For that, you can massage your facial hair with oil every day. 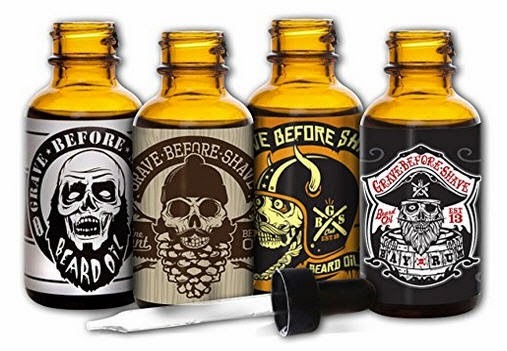 My favorite beard oil is the ‘Grave Before Shave’ which contains all natural ingredients. Do you know that your body grows while you’re sleeping. Even if you cross the age of growing height, your body will make proper use of your downtime to repair injuries and also to grow hair. So, it is advised to have a sound sleep of at least 6 to 8 hours every day. Try to leave a peaceful life by eliminating all the stress. Being in the stressed mode hinders your hair growth possibilities. For that, you can do Yoga, meditation and exercise. Meditation is the most popular way to discard stress from your mind. This is one of the best tips for growing a beard faster. Keeping your face clean is very important as the dirt, grease and other materials can stop your facial hair from growing. So, wash your face more often and apply an oil-free moisturizer for a healthy skin. King Leonidas Beard Style: How to Grow a Spartan Beard? CoolBeardStyles.com is a participant in the Amazon Services LLC Associates Program, an affiliate advertising program designed to provide a means for website owners to earn advertising fees by advertising and linking to amazon(.com, .co.uk, .ca etc) and any other website that may be affiliated with Amazon Service LLC Associates Program.